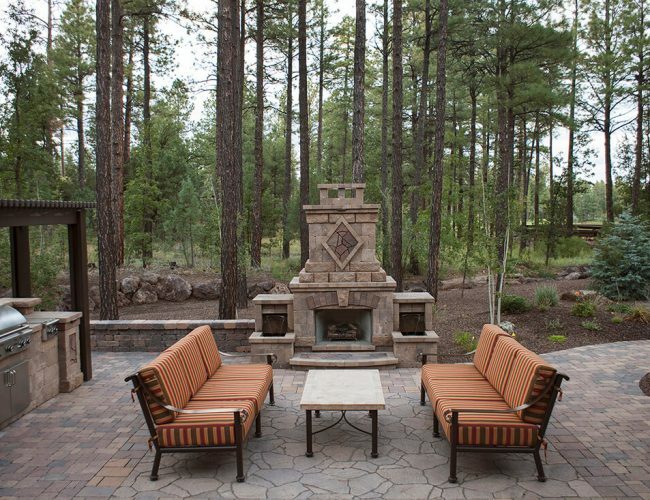 For a property feature that truly goes above and beyond great landscaping, consider a firescape. 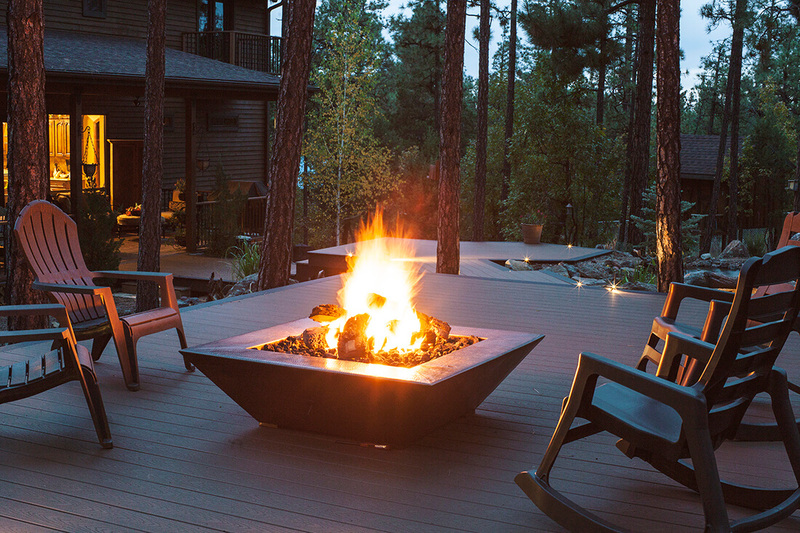 Fire features come in all shapes and sizes—from simple fire pits to functional outdoor ovens and fireplaces. 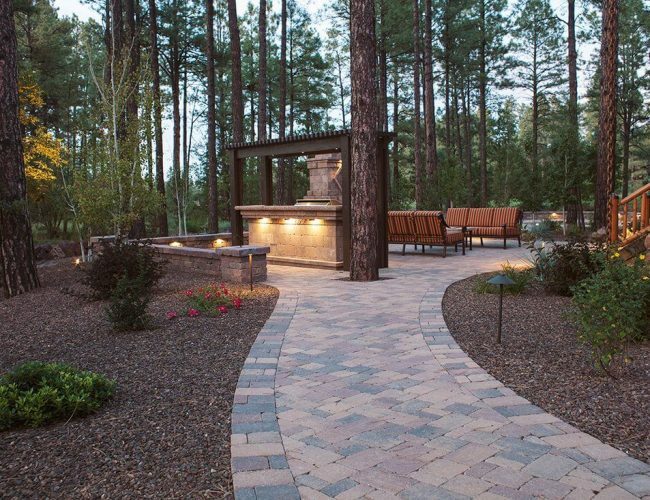 At Tim’s Landscape Creations, we’ve designed and built them all, taking residential and commercial properties up a notch with quality craftmanship that results in beautiful, enjoyable firescapes. 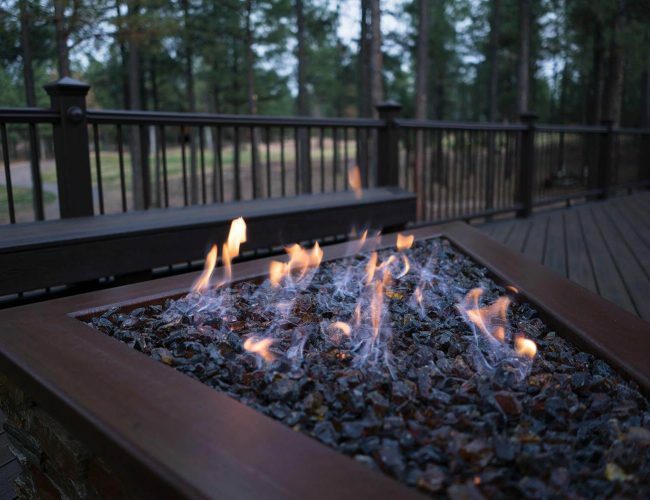 Let us construct an outdoor fireplace in Show Low, AZ that’s steeped in luxury and convenience. 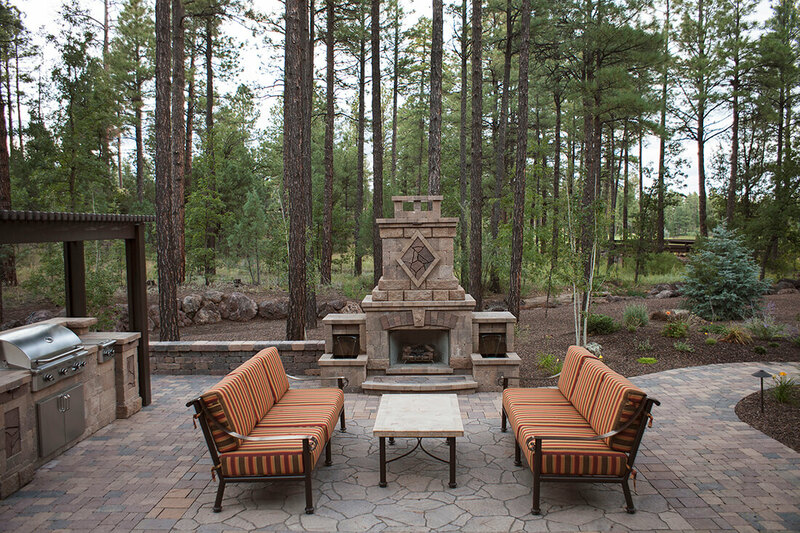 Our fireplaces are all one-of-a-kind and can be seamlessly incorporated with patios, outdoor kitchens and other hardscaped features. 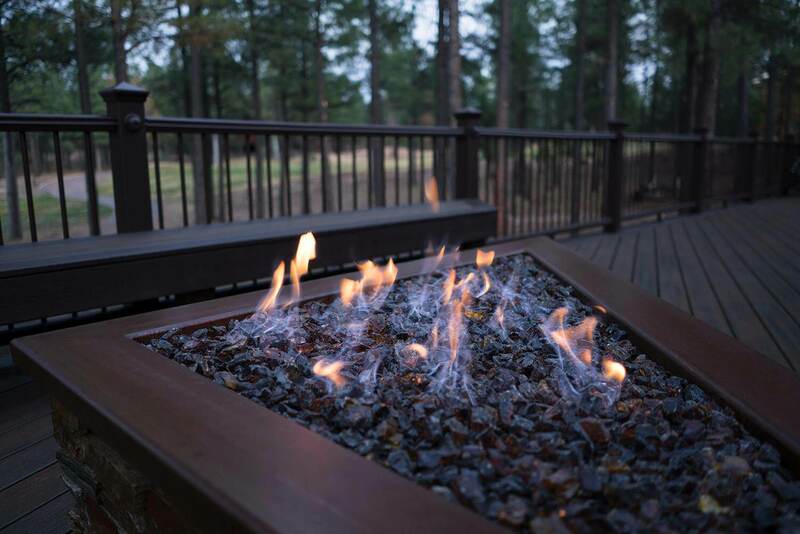 Gather around a fire pit in Show Low, AZ to enjoy the warms of a controlled blaze and the company of friends. 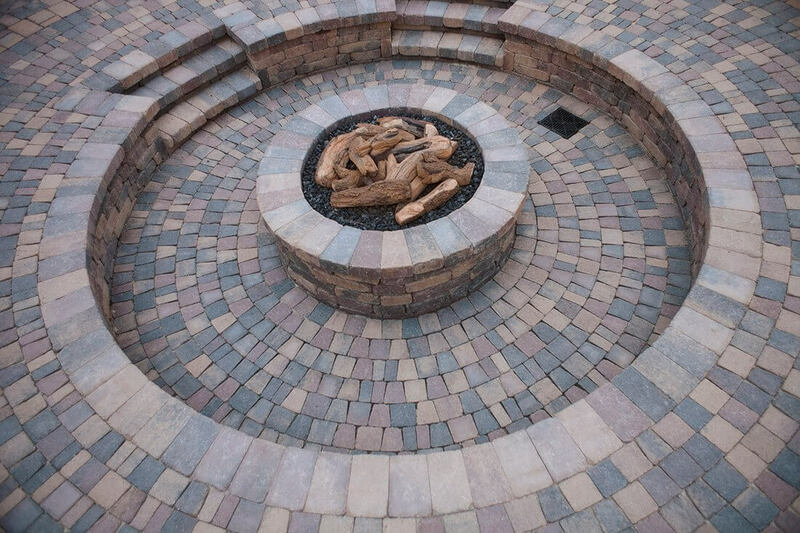 We can build fire pits in all sizes and shapes, with accompanying seating and other paver features fully integrated. 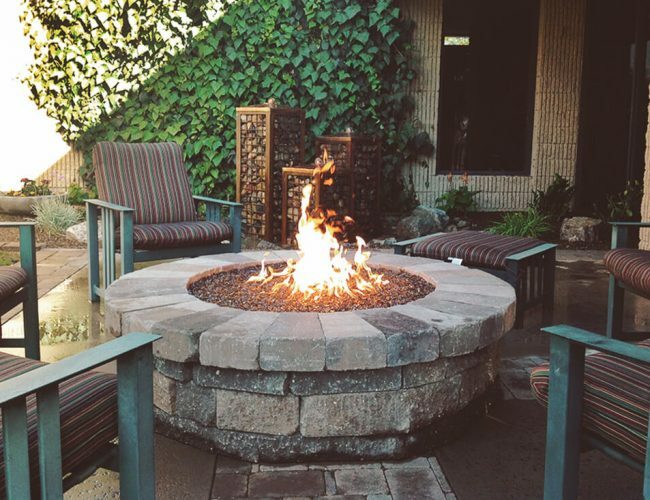 Our accent fire features are a boon for businesses and luxury homes, presenting an eye-catching focal point that’s great for congregating around or utilizing as part of a larger landscape theme. Our fire accents are guaranteed to be appealing! 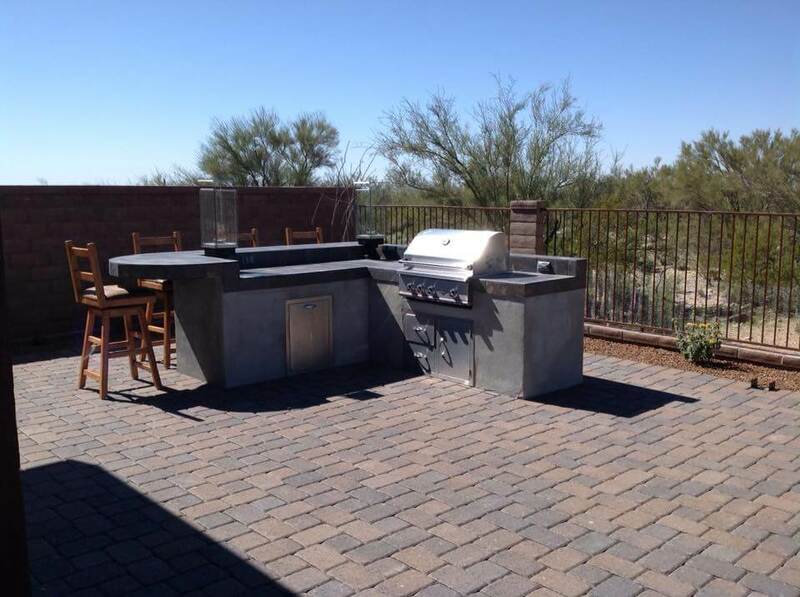 Planning on doing some outdoor cooking? Whether as part of an outdoor kitchen or as a standalone feature, we can construct durable, functional outdoor ovens that look great and cook to perfection. 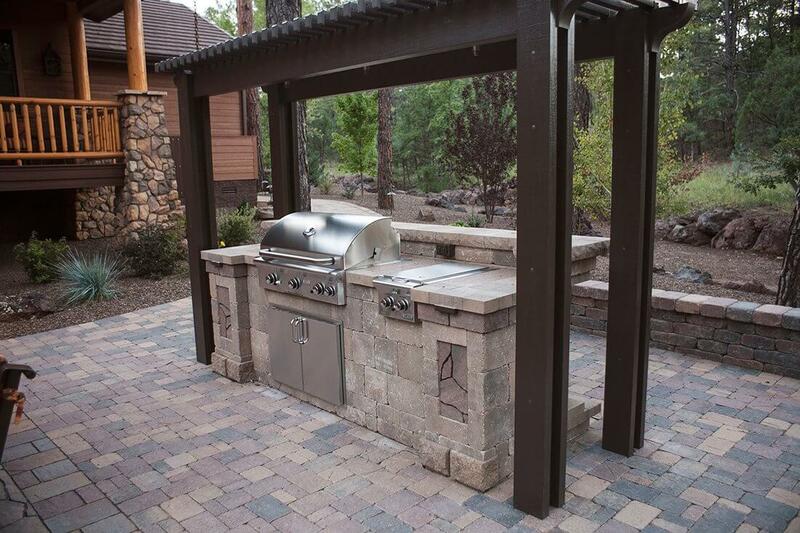 Whether you’re baking break or smoking meats, our outdoor ovens are up to the task. 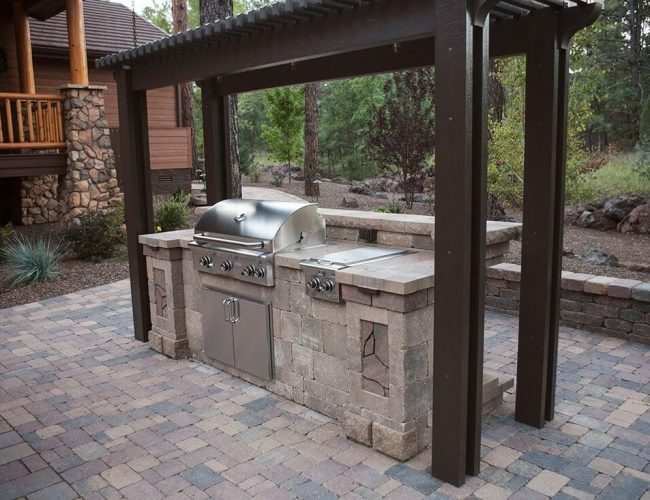 Have a custom design in mind for a fire feature for your backyard or business? Share the details with us and we’ll bring it to life in stunning detail. 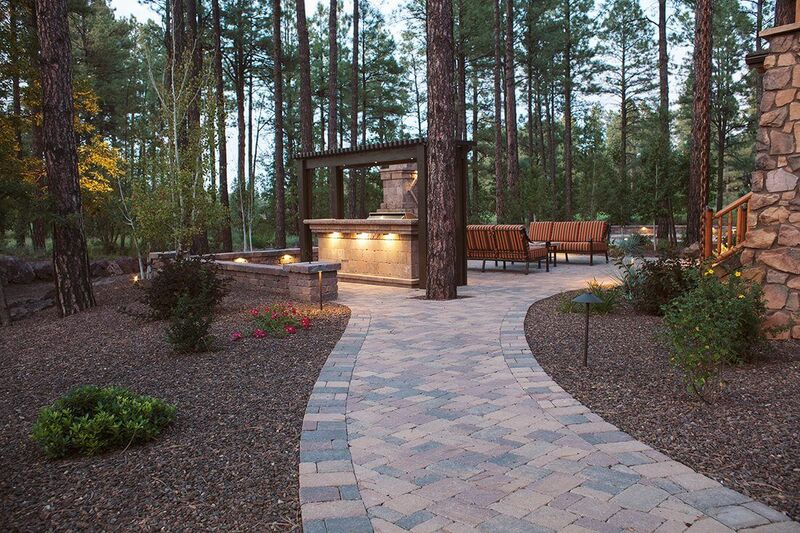 We can also help design custom features based on your vision. 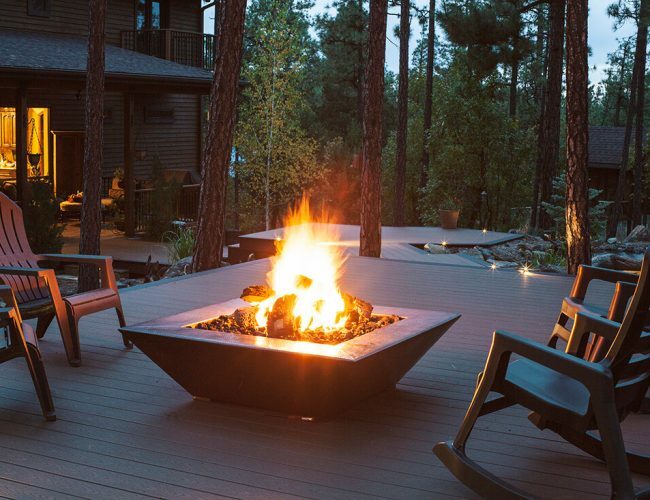 From unique fire pits, to firescapes and even artistic accents, we’ve done it all. 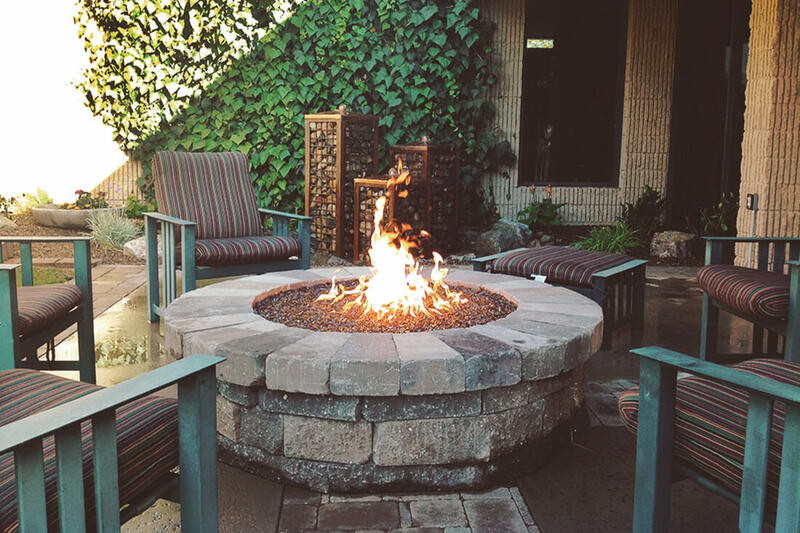 If you want to bring the warmth and intrigue of fire to your residential or commercial property, choose Tim’s Landscape Creations. 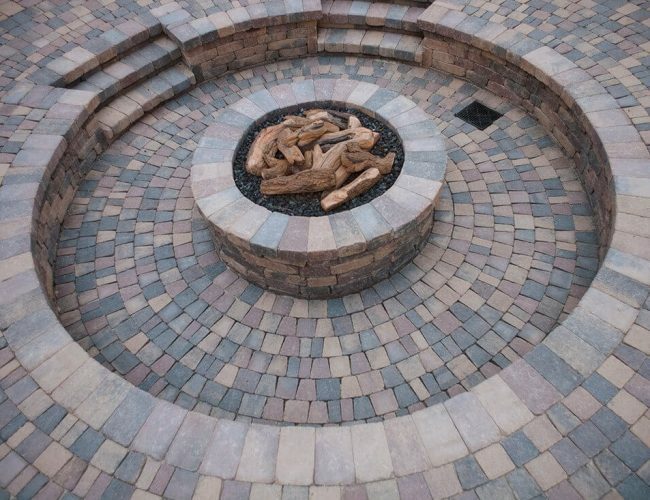 Regardless of the type of fire feature you want, we’re ready to create it for you. Reach us today at 928-537-9065.